For Operation Para Bellum, Team Rainbow recruits two of G.I.S.’ finest: Maestro and Alibi. The new Operators are immediately unlocked when Season launches for Season Pass owners, with exclusive access granted for seven days. All players can then unlock the Operators with Renown or R6 Credits after the exclusive period ends. Alibi was born in Tripoli, Libya and immigrated with her family when she was three years old. Her father managed a small ordnance manufacturer, using his contacts to open up exports. She earned her understanding of Italian firearms through the family business and training on the shooting range. At 18, Alibi entered the European Championships, and won gold in two divisions. Following the event, a Carabinieri recruiter convinced her to join the police force. Alibi’s precision shooting skills shot her up the ranks, and she served for a time with the elite Raggruppamento Operativo Speciale in fighting organized crime. She eventually earned a spot in the Gruppo Intervento Speciale (G.I.S. ), and following a successful operation in Afghanistan despite being separated from her unit, she was singled out for undercover work in organized crime. She infiltrated the Vinciguerra Crime Family and spent several years among them before bringing them down from the inside. Prisma projects holograms identical to Alibi in an idle position. If you shoot or touch the holograms, you’ll be marked and pinged for the next few seconds. If Prisma is deployed outside, a false “Defender Outside” warning is triggered for Attackers. To add an element of surprise, Prisma conceals the identity of any Defender who ventures outside. Any bullet, melee, or explosives damages Prisma, and will shoot through the hologram. Be careful not to stand too close. Maestro is oldest in a family of eight children. He grew up in Rome, but attended the Military Academy of Modena at 18. He then joined the Carabinieri and earned a spot as an Explorer Paratrooper in the 1st Paratrooper Regiment known as Tuscania. After several distinguished tours, Maestro qualified for Gruppo di Intervento Speciale (G.I.S.) and participated in joint operations in Iraq, earning a facial scar from a roadside IED. He went into private consultation where his courses quickly became a top-rated operator boot camp for teaching advanced techniques to Tier 3 and Tier 2 units, as well as private military companies. The Tuscania eventually convinced Maestro to re-enlist to help upgrade one of their units to a Tier 2 Special Forces classification, and this enabled him to join Rainbow as a representative of the Italian Units. 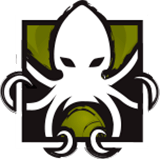 We are honored to grant an elite set for Thatcher, our most decorated Operator. Inspired by the operation that made the S.A.S. famous, Thatcher’s set celebrates their legacy as trailblazers. Elite Thatcher is adorning an Operation Nimrod Uniform, Fookin Smooth victory animation, Screw Top gadget skin, Elite Thatcher Chibi, and Maggie’s Resolve weapon skin on the L85A2, M590A1, and P226 MK 25. 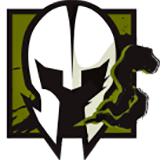 The set will be available at the launch of Operation Para Bellum in Thatcher’s Uniform section. In Operation Para Bellum, we celebrate the Italian artisanship of weapon fabbrikas. Our seasonal weapon skins Carnevale, Renaissance, Ancient Marble, and SPQR will bring that refinement to your Loadout. Once unlocked, the seasonal weapon skins can be applied on all available weapons until the end of the Season. Our Level Artists and Designers were asked, three years later, to revisit Clubhouse and bring it to new heights. They were pumped to step up to the plate, now armed with years of know-how and a series of advanced tools. Their mission was to improve the course of the map by fixing what forced Defenders into high-risk low-reward situations. First, our Designers added a connector between the bedroom and the cash room to open up the flow of the map. Defenders can now move between buildings on the second floor without being forced to go outside. The objective locations were also targeted for balancing. The Designers added a staircase in the garage, subdivided the bar, added a bathroom to sneak past the bar, and removed some hatches on the rooftop so that players could circulate more freely. Second, Designers monitored closely how the community adopted the map through the years with the arrival of new gadgets. It was essential to examine how players actually used the map to make sure it still “felt” like clubhouse when buffed. Our Designers wanted to honor the players’ progress and investments. Plus, it made them see their creations anew. For instance, when a Level Artist created a new staircase in the basement, a Level Designer mentioned that the community nicknamed the area “Blue Room.” The Artist played up the reference, adorning the wall with a navy banner and planted blue flares on the path that led to the staircase. Lastly, the map buff was the perfect opportunity for the Artists to polish their initial work from three years ago; a rare treat. They reworked textures, diversified materials, dramatized the skydome, added lighting, and infused the map with the presence of unseen bikers. As our first map buff, we look forward to watching you play on our Technical Server, and to collect your feedback on R6 Fix. More details about the Pick and Ban feature can be found in the Dev Blog: Pick and Ban. This new device will allow them to have more options to hold an objective and counter some attack strategies. More details about the Bullet Proof camera can be found in this Dev Blog: Observation Tool and Bullet Proof camera. The Counter Defuser Dev Blog contains more information on these changes. You can learn more about the Observation Tool changes in the Observation Tool and Bullet Proof Camera Dev Blog. We have adjusted the player experience when leaning from one side to the other. A method could be used to shift from one side to the other more quickly than intended by using a combination of keys. You will now switch smoothly from left to right, and vice versa, without the need to utilize additional key presses. We are implementing a numerical refactor process with slight adjustments to the existing scoring system for Operators. The goal is to balance the current system to have every Operator potentially winning a similar amount of score per round, from completing near-identical actions. If you are encountering issues with microphone detection in game, please check your Windows recording settings. With the addition of the new Italian map, we will be making some changes to the Ranked and Casual playlist. 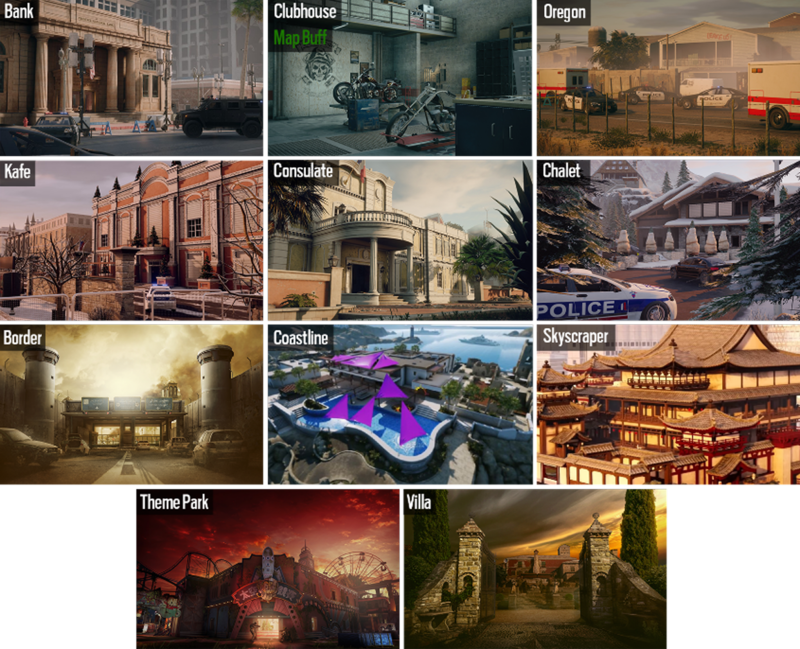 We will have 11 maps in the Ranked rotation, and 17 in the Casual playlist, and all maps will be available in Custom Games. We are excited to start using R6Fix for the live game, in addition to the Test Servers. If you encounter a bug following the release of Operation Para Bellum, please head to R6Fix.ubi.com to report it. R6FIX will only be available in English at release. You will need to sign in using your Ubisoft account. Once you have signed in, you will get a quick overview of what R6Fix is, and what you need to do in order to use this platform properly. After that, select the appropriate module, and get started! You will be able to create a new report on this screen. We recommend searching through the existing issues to prevent duplicates from being generated, and upvote the issues you feel are important. If there isn’t one already made, click the “Make a Report” button. It is very important for you to provide us with your computer specs. After filling out your computer specs, you can begin providing us details regarding the issue you encountered. Please provide us with as much detail as possible, as this will help expedite the resolution time! If you have an issue to report and already see it submitted, please provide your reproduction steps in the comments, and select the “I can reproduce” button. Once we have enough reproductions, the issue moves to “Acknowledged”. When an issue is in “Acknowleged” status, it is up for a vote! Your votes are limited per month, so choose wisely. We recommend that you reserve your upvotes for issues that you feel should be a high priority. Fixed - Claymore mines cannot be deployed while standing parallel, right next to a wall. Fixed - Defender is able to defuse the bomb from a floor underneath if close enough. Fixed - Operators can vault over a deployable shield to clip inside the hostage. Fixed - In certain spots, bullets can pass through a reinforced and an indestructible wall. Fixed - When attempting to perform a tactical reload, entering or exiting prone stance cancels reloading. Fixed - Some deployable gadgets cannot be picked up if you are very close to them. Fixed - Sound of drones cuts off in first person following certain steps. Fixed - Wall deployable Gadgets, such as Jager's ADS, are not be automatically destroyed when destroying the object it is attached to. Fixed - Barbed wire can be deployed through barricades. Fixed - Defenders lose the round if the attacker leaves the room while the objective is contested with the securing slider loaded at 100%. Fixed - It is possible to melee shield operators through their shield when approaching from a particular angle. Fixed - Operator models can appear in 2D and not receive any damage. Fixed - Players can clip through walls and barricades in multiple spots. Fixed - Batteries are not destroyed by any kind of explosive when installed on a reinforced trapdoor. Fixed - Caveira is able to reload while sprinting in Silent Step. Fixed - Black Eyes can be placed in unintended spots to see through the map. Fixed - Doc's Emergency Rescue Headgear is corrupted and equipping it distorts the entire character model. Fixed - Concussion Mine effect can go through barricades, Castle barricades and bare reinforcements. Fixed - Black Mirror does not destroy pictures properly while being deployed on certain spots. Fixed - Mira's One Way Mirror can disappear when close to a wall. Fixed - Blue border does not appear in the kill cam and support views if Finka used her boost right after the kill. Fixed - If a player leaves while Twitch's drones are out, the drones will disappear. Fixed - Twitch drone doesn't show ammo count nor cooldown for the taser. Fixed - Welcome Mats can be hidden after performing a series of actions. Fixed - If IQ's gadget is activated, she can detect electronics while doing other actions like cooking a grenade. Fixed - Electronics are not highlighted on the edge of the detector. Fixed - Jager's ADS can be deployed and hidden through certain structures. Fixed - Defenders can throw gadgets outside through the small window at 1F Detention during the preparation phase. Fixed - Wall sections float after an operator destroys them. Fixed - Players do not receive any damage after detonating a nitro cell near the flower pot at "2F Bedroom Hallway" area. Fixed - Players take fatal fall damage when vaulting off the AC unit from EXT Western Roof. Fixed - Players can hide behind a TV of B Memorial Room. Fixed - Drones can clip in the stairs of EXT Kennels and see through textures. Fixed - Players will experience FPS drops after performing a series of actions. Fixed - It is possible to shoot between two reinforced walls in 2F Bedroom Hallway. Fixed - The defuser can be planted or the container can be secured from 2F Bathroom while the objective is in 2F Bedroom. Fixed - The floor between Bedroom Hallway and Central Hallway allow bullets to pass through. Fixed - There is a gap under the Ext Eastern Sub-Roof wall that gives Attackers a line of sight to the floor below. Fixed - Nitro cell deals no damage when exploding on the stairs of the 1F Bar. Fixed - Breach Charges will destroy only the first layer of the wall in the Basement Hallway area. Fixed - Objective not discovered when aiming towards it from the Ruins. Fixed - Placing cluster charges in specific spots on Consulate will kill Fuze. Fixed - Certain areas of House are too dark when viewed from the outside. Fixed - Yokai loses signal on 1F Haunted Stairs. Fixed - Players will not receive any damage if they plant a C4 on the unfinished Northeast wall of the "Dining Hall Corridor". Fixed - Empty usernames appear in the scoreboard. Fixed - 3-0x000A0013 error is received if a player accepts an invite to an already started custom game. Fixed - Drones do not register slow mouse movements. Fixed - A yellow dot is displayed under the operators tab. Fixed - The game will randomly crash with a Ryzen CPU setup. Fixed - Players are unable to rejoin their Ranked game after a maintenance.